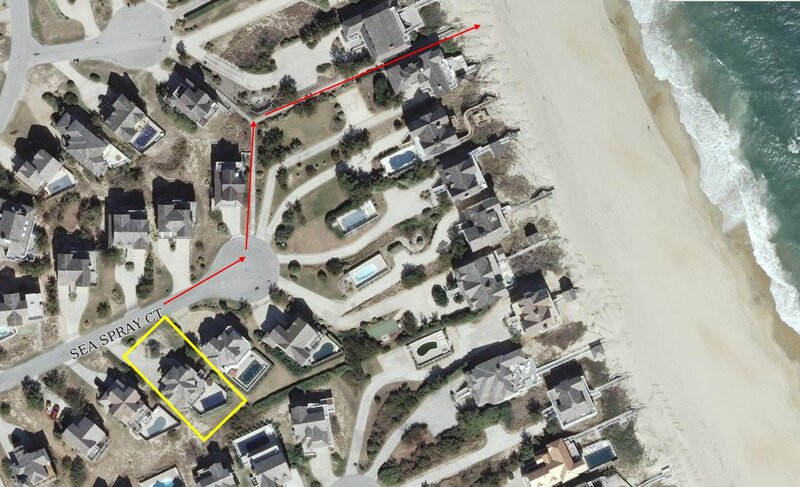 Address: 107 E. Sea Spray Ct. 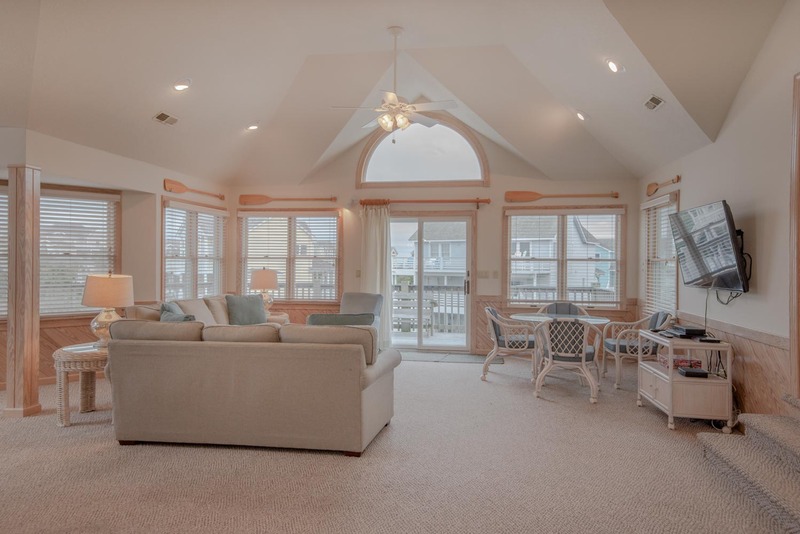 Formerly known as Beacham, this fantastic vacation home is located only 3 lots back from the Ocean w/ a short walk to the beach via deeded Beach Access & has everything your family needs for a great time on the Outer Banks. 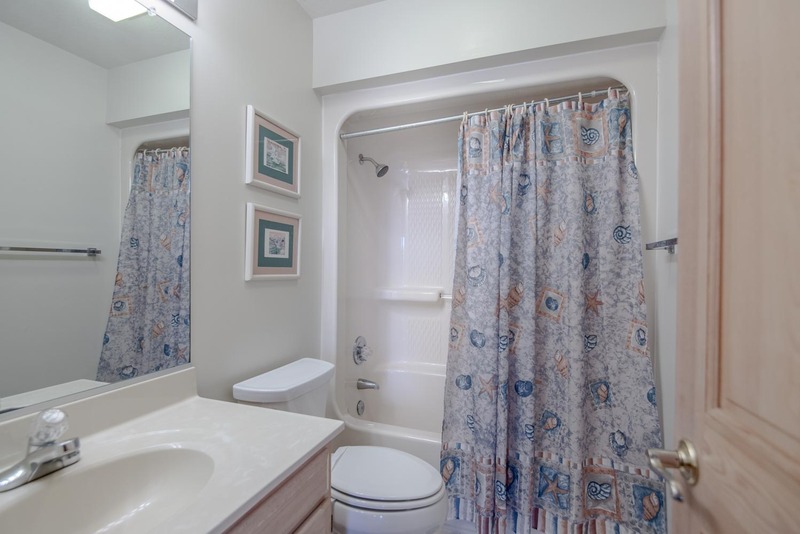 Nicely decorated & spacious, this home is situated on a quiet Oceanside cul-de-sac, w/ a great location that is just steps from the beach & convenient to many outstanding restaurants, shopping, grocery stores, & the various attractions Nags Head, Manteo, & Kill Devil Hills have to offer. The ideal setting for the vacation of a lifetime. 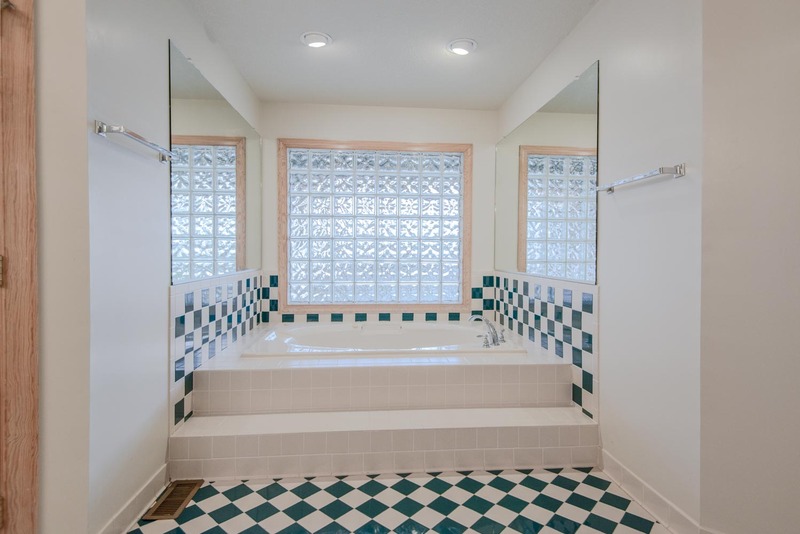 Ground Level: Parking for 5+ Cars, Covered Entry, Access to Private Swimming Pool (12x23), Hot Tub, Enclosed Outside Shower, Fish Cleaning Station, Storage Room w/Refrigerator, Picnic Table, & Park Grill. 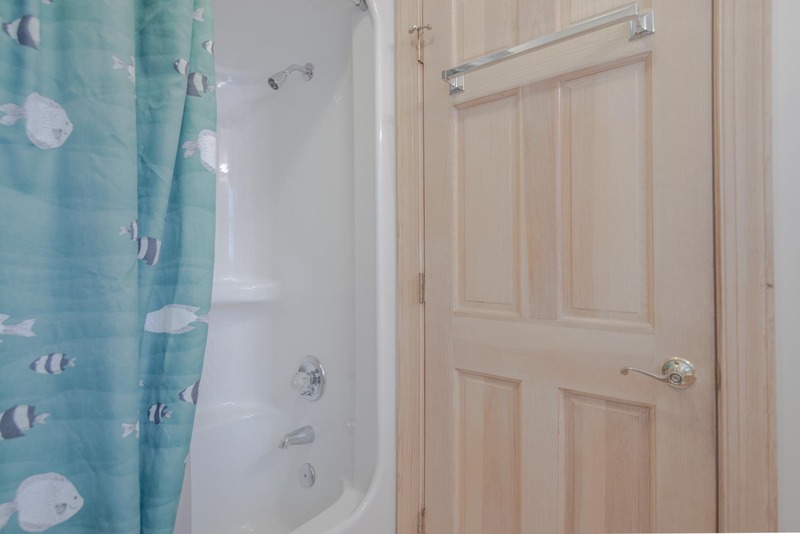 Mid Level: 4 Bedrooms (1 Master Suite w/King, Smart TV, Full Bath w/Jacuzzi, & Deck Access; 1 Master Suite w/King, Smart TV, Full Bath, & Deck Access; 1 w/Queen & Smart TV, & 1 w/Queen, Smart TV, & Deck Access), Jack & Jill Full Bath, Laundry Area, & Covered Deck. 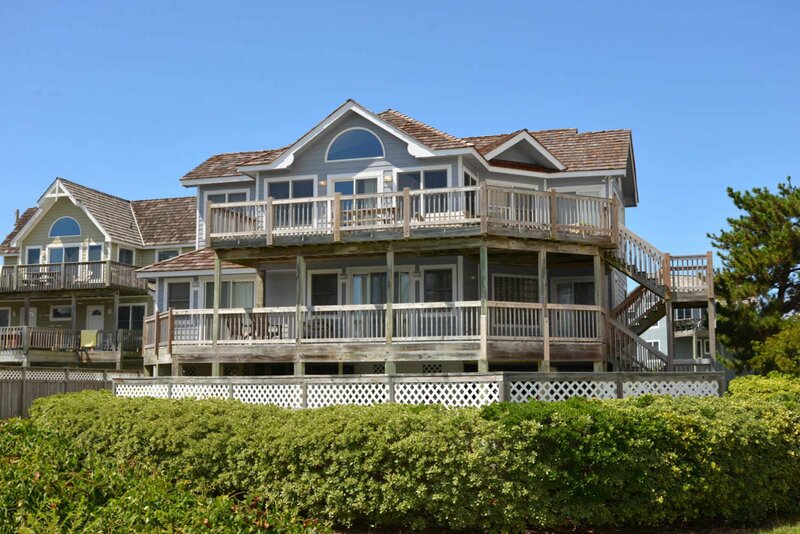 Top Level: Living/Dining/Kitchen Area, Smart TV, Wet Bar, Bedroom w/2 Singles, Full Bath, & Sun Deck. 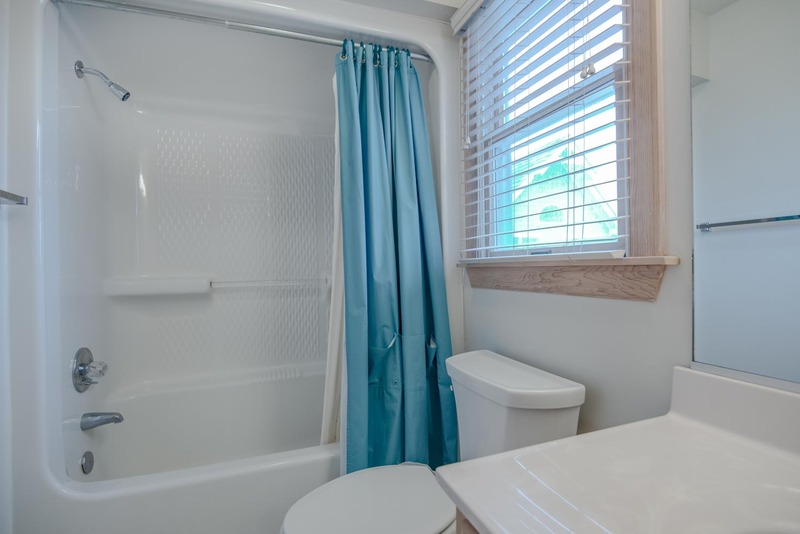 Features include: C/AC & Heat, Washer/Dryer, Dishwasher, Microwave, Phone, 6 Smart TVs, Wireless Internet, & Deck & Pool Furniture. No Pets. This is a Non-Smoking Unit. To see more about the community amenities visit the Village of Nags Head information page. Loved the early access and digital local it was so wonderful to be able to enter the house early as we travel from New York. This is a feature that might encourage me to rebook. 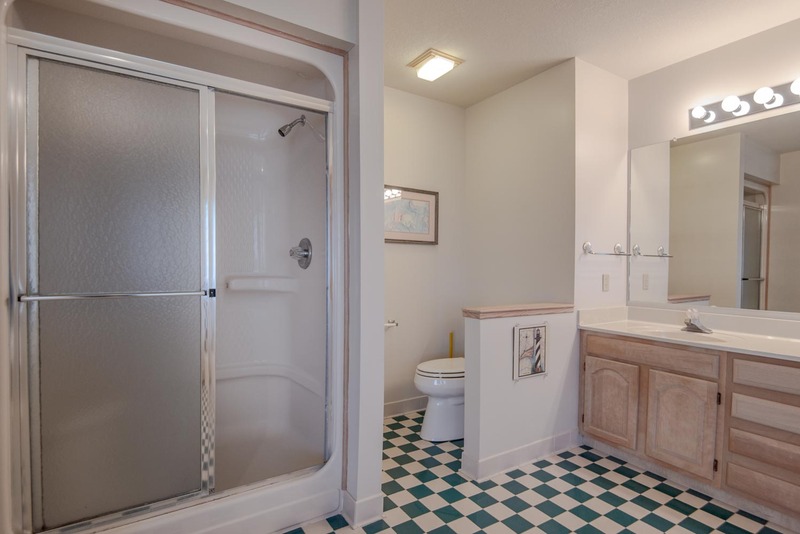 Bathrooms spotless. Location perfect. TVs excellent.